I’m not having a great time navigating my way through UK immigration (read: it’s ridiculously unorganised and contradictory). 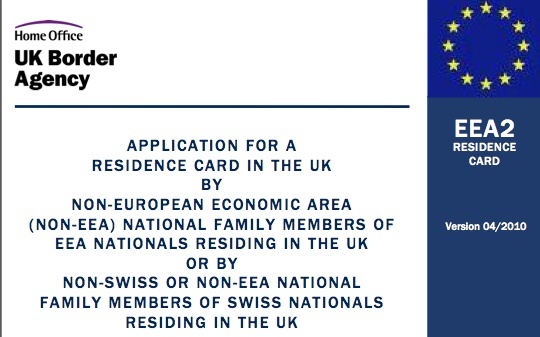 Legally, I’m allowed to remain in the UK by exercising treaty rights as a family member of someone who is from the European Economic Area. The process for me to apply has been a farce. 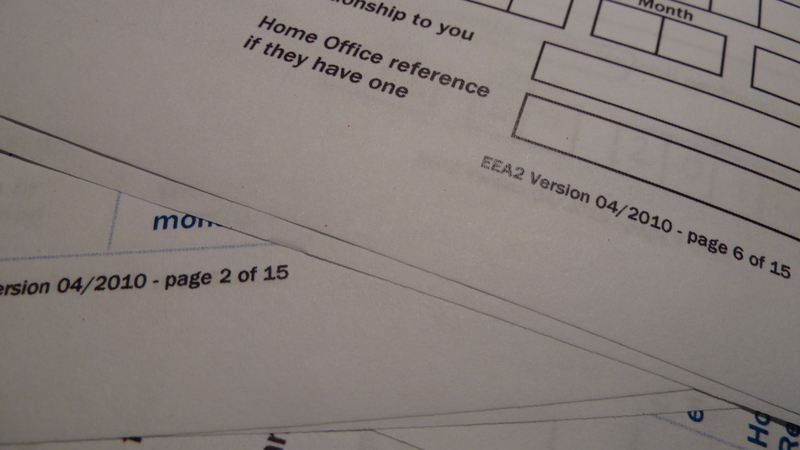 It’s amazing how little information is available (aside from in forums where people tend to share their experiences or frustrations) and how the information available from the Home Office is contradictory – like that immigration officer that told me to apply under the wrong category. After venturing down to Croydon to submit my application, the immigration advisor told me that I had to come back with additional documentation. When I asked a question about where I could find the information, he told me to “google it”. When I asked if he could write down for me a specific link, he said “Miss, stop being aggressive with me!” That’s the first time EVER I’ve been told I’m aggressive, and it was simply for asking where I could get more information. 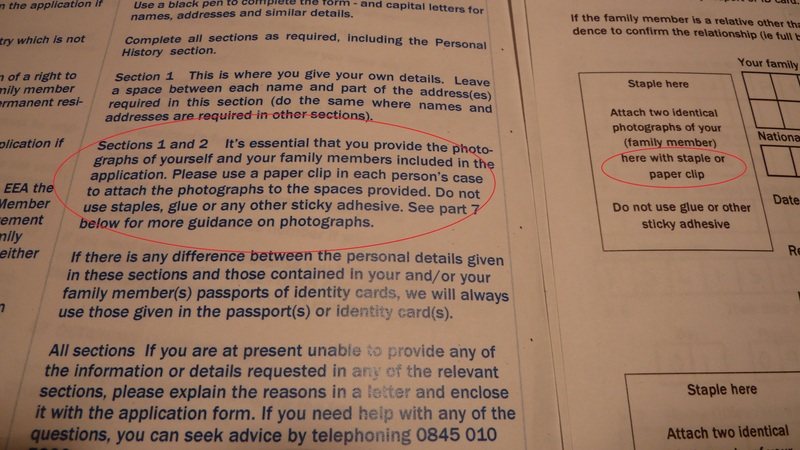 Three pages later, on page 6, you are instructed to staple your picture to the page. Which guidance to follow? How likely is it that my application for will be rejected if I do use a staple? I also spent 47 mins on hold to cancel my following appointment at the Home Office, as responsible people do. 47 minutes just to say I wasn’t coming. Surely they could automate this or let people cancel online? I could have just not turned up – it would have wasted less of my time to be honest. This whole process has been a joke and while I’m usually an optimist, I’m doubtful that I’ll actually receive my application back within the next six months (as the Home Office’s website says). Previous Get on the Bus Already!